What are Cell Phone Boosters? Although many cell phone providers claim to offer larger coverage areas and fewer dropped calls, the truth is that many individuals and businesses struggle with inadequate signals that hamper communications. To prevent these issues, a cell phone booster can be included in a building’s wireless set-up that can increase the range of signal that can be received by mobile devices. Here is how a cell phone booster works along with the benefits it can provide for those who rely on their mobile devices for communication. A cell phone booster is a device used to boost cell phone signals in buildings or vehicles that have low reception. Also known as a cell phone repeater, this device is essentially a mini-cellular broadcast tower that, instead of directing signals throughout a community, focuses on improving reception in a specific building. This is accomplished by using an external antenna to find the best signal. 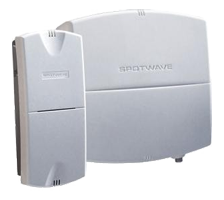 This signal is then directed to an amplifier that creates a stronger signal that can be distributed throughout a building. There are several reasons why cellular reception may be low in an area. Those living or working in rural areas frequently have inadequate coverage due to a lack of broadcast towers. Even in bustling urban areas, many businesses and homes struggle with a weak signal as a result of materials used in the construction of the building. Lead, concrete and certain types of insulation can block cell phone signals. Large buildings and those located near known dead zones also experience low cellular reception when the signal is not strong enough to reach interior areas. The benefits of using a cell phone booster have been described by the FCC as being a cost-effective way to ensure adequate cellular coverage to anyone living in rural areas or who lives and works in indoor areas that experience cellular blockage. In both homes and offices, this can have the added benefit of providing access to emergency service providers without the worry of interrupted signals. Productivity is also enhanced as those using wireless technology no longer must depend upon land-lines or contend with dropped calls. As the demand for mobile communications increases, both individual homes and companies must find ways to ensure their cellular signal is strong enough to meet the needs of everyone in a building. By using a cell phone booster, signals can be amplified and directed to even hard-to-reach areas so that everyone can benefit from having reliable cellular coverage.